I’ll be honest, I was ready to pin Unknown Chapters as yet another assimilation of the 1975 as their latest single Losing my Mind started to unfold. But, how wrong could I have been?! Losing my Mind is practically a melting pot of genres, with influences from Jazz, Electro Pop, Funk and Indie you can be sure that you’ll be treated to prodigious soundscape. No review of Unknown Chapters would be complete without the much deserved mention of the vocalist’s charismatic quintessence. In fact, you never know what to expect next from the track as it seamlessly weaves through a series of momentums and styles. They even found the space to throw in a Rap verse. What kind of wizardry is this? You can check out Unknown Chapters latest single Losing my Mind for yourself by heading over to YouTube where you also get the visual delight of the official music video. Follow the Unknown Chapters on Facebook to keep up to date with the London based 5-piece powerhouse’s latest releases. 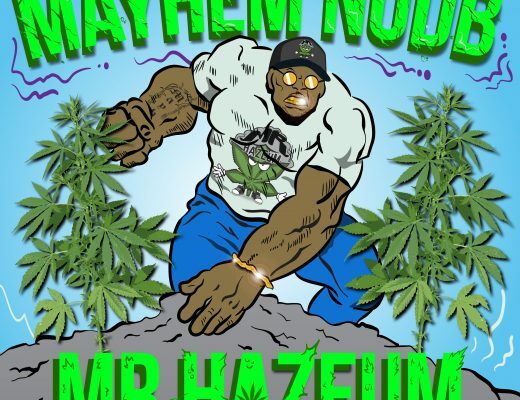 Mayhem NODB – Mr HazeuM : A High Urban Hip Hop Grime.